I recently attended a church service where a wide variety of church members took part in the Sunday service. To me this was an indication of a strong, healthy, and involved church, helping make the service more interesting and representative of that church. Several years ago, in contrast, I attended a church service where the opposite was observed. I was ignored by the greeters, and the service was conducted solely by a pastor and and a single church musician, a bit much for a lengthy service. The results were astounding! 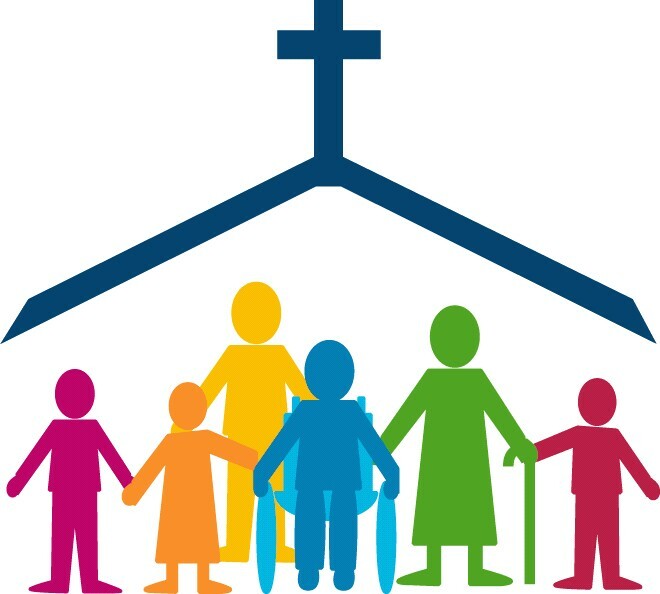 Ranking each denomination by involvement, the study indicated that the overall averages were 30% for high involvement, 58% for medium involvement, and 12% for low involvement. I enjoy visiting churches which exhibit a high degree of involvement encompassing all members, regardless of age. They seem to exhibit a passion for connection, which to me, is the heart of the gospel. Dying churches seem to be floundering in a tidal wave of lack of member support. Take a look at the study to see how your denomination fares. This entry was posted in Church Visits Blog and tagged dying churches, member involvement, Pew, Pew Forum on August 10, 2017 by Chris Thompson. From time to time, readers write with questions or observations about this column. This week I’m devoting this space to a sampling of questions I’ve received. Many relate to the columns devoted to church visits, so a little context is in order before turning to those questions. My church-specific columns are usually intended to focus on the perspective of a first-time visitor — someone hopefully regarded by that church as a “guest,” and my visit descriptions are intended to document the way any visitor might be treated at that church. How many visits have you made to any one church without being warmly greeted and becoming aware of a sense of hospitality? I’ve visited several local churches at least three times without being greeted by anyone, or at least being handed a bulletin or worship guide. At one prominent Hillside church in particular, I was even invited back by a member sure I would receive a warm greeting next time. Unfortunately, it never happened, even though I stretched myself to endure three visits. I could never recommend that church or any other unfriendly church to a potential first-time guest or in my columns. Unfortunately, something in that church’s DNA prevents it from changing. You don’t have to be a rocket scientist to determine if you’re welcome at someone’s home. The same is true at church. I remember a woman from a local Episcopal church approaching me after her service saying she’d recently put on her “visitor” mentality and persona when she visited her hometown church. She said she was astounded at what she noticed; it wasn’t all guest-friendly. As a church consultant, I’ve recommended for years that multiple teams from a specific church need to visit other churches, every Sunday, to see how they are treated, and look for encouraging practices worthy of emulation. By and large, churches refuse to do this, plain and simple. Frequently I’m asked about my local “home church.” Do I have one? I’m constantly in motion, visiting congregations from a variety of faiths on any given Friday, Saturday or Sunday. To maintain my impartiality I claim membership in none, but clearly have certain congregations to which I return regularly. My church is not listed on your list of churches to visit; why is that? I maintain lists of good “first-time” churches on my website, churchvisits.com, as I consider them to represent safe choices for people seeking church homes or looking for a solid faith community. Your church might be one that makes first-time guests uncomfortable. Maybe you do not welcome them in a friendly manner, possibly ignore them altogether, or give them the 20-question test upon arrival. (Example: What is your name?, How did you hear about us?, What is your home church?, Who do you know in our church?, How did you find us?, etc., ad nauseum.) My column two weeks ago gave a real-life example of how one friendly church treats guests with honor and great hospitality. Your church might be one of the many that insist on having guests stand up and identify themselves, telling the group where they’re from, etc., which by the way, is the No. 1 reason people do not return to a church. Possibly your music may have been 30-45 minutes of insulting, ear-pounding noise where congregants are “told,” not “invited,” to stand, to spend the entire time enduring songs many don’t know. Maybe your pastor preached a really great sermon, at least in his mind, while mostly reading it without inflection. Worse yet, he may have used his main remarks from a popular writer whose book was on the best-seller lists. But first-time guests usually make a decision about whether to return to a church within the first five to 10 minutes after they arrive. Forget the music, and sermon. It’s already too late. They’ve decided. Why do you draw attention to beautiful features of some local churches, while ignoring Gospel content or social justice ministries? For Christians, a theology of beauty is represented in Scripture going back to the creation itself. In the exodus of the children of Israel, God ordained a theology of beauty in the construction of the Ark of the Covenant and the Tabernacle of Moses. These symbols were deliberately established to be constant reminders of God’s greatness, love and physical presence. Beauty is not a final solution; it must touch and heal the heart as well. Many religions believe in a theology of beauty, and express a God-given appreciation of that beauty in their symbols. As a religion scholar, I’ve made field trips to many religious edifices in various areas of the world. Invariably I’ve been drawn to God through my viewing of the symbolism represented by various features. At Reform Congregation Keneseth Israel in Philadelphia, “The Prophetic Quest,” a series of 10 stained glass windows by artist Jacob Landau, brought entire books and chapters of Old Testament prophets leaping to mind. But social justice initiatives are also an ongoing feature of this column. Many churches ignore their importance. I do not. I appreciate the dialogue this column offers in the religious community. Not everything I write will be appreciated, nor do I expect it to be. However, I enjoy hearing back from readers. More questions are welcome either in the comments or by email, at churchvisits@gmail.com. As time allows, I try respond personally to each. Happy questing! This entry was posted in ADN Articles and tagged church music, Episcopal, guest-friendly, hospitality attitude, Pew Forum, warm welcome on July 23, 2016 by Chris Thompson. My column two weeks ago was next to a New York Times story with the headline “Big drop in share of Americans identifying as Christian.” USA Today headlines blared, “Christians drop, ‘nones’ soar in new religion portrait.” CNN, not to be undone, shouted “Millennials leaving the church in droves, study finds.” Dozens of other headlines tried to outdo each other with hyperbole. But what’s it all about? These stories sprang from the May 12 release by the Pew Research Center of the results of its 2014 Religious Landscape Study. That report was titled “America’s Changing Religious Landscape” (see tinyurl.com/ldnxabw). The subtitle of the report was “Christians Decline Sharply as Share of Population; Unaffiliated and Other Faiths Continue to Grow.” The study compared the similar 2007 study with 2014 study results. Summary comparisons by major religious group brought the results into clearer focus. The change results for this time period were: a 0.9 percent drop for evangelical Protestants, an increase of 6.7 percent for unaffiliated, a decline of 3.1 percent for Catholics, a 3.4 percent drop in mainline Protestants, and an increase of 1.2 percent for non-Christian faiths. These results were not unexpected, and tend to confirm the much-heralded observation that current generations are “spiritual but not religious.” They seek an experience that mirrors their own quest for meaning in life. For many, this means embracing elements of Buddhism, Taoism, Christianity, Hinduism, and other philosophies. Two weeks ago I visited an Anchorage church that represented this approach. I believe we will see more such congregations develop over time. The Pew results, for the most part, are largely accounted for by the 6.7 percent rise in the unaffiliated. The breakdown of this group is that atheists rose from 1.6 percent to 3.1 percent; agnostics rose from 2.4 percent to 4 percent. Those who identified as “nothing in particular” rose 12.1 percent to 15.8 percent. All three of these groups fall into the “nones” category referenced in the USA Today headline. One very interesting side note in the study is the finding that most Christians are women, while most “nones” are men. Certainly this is evident here in Alaska where many men stay away from church to pursue weekend pleasures such as fishing, hunting, boating, snowmachining, etc. During my hundreds of church visits over the years, I’ve personally observed the lack of men attending church services. I particularly enjoy reading the various blogs and reports Ed Stetzer releases. As executive director of LifeWay Research, he is up to date on research and observations that hit the nail on the head. In 2012, I heard him speak at ChangePoint. He delivered a persuasive talk, one of the best I’ve heard in a long time. (See my ADN blog post at tinyurl.com/osxktqv.) Stetzer wrote an opinion piece in USA Today on May 13 titled “Survey fail — Christianity isn’t dying: Fakers who don’t go to church are just giving up the pretense” (See tinyurl.com/mezw62g). Stetzer and LifeWay are respected for their research and conclusions. I mentioned his presentation at ChangePoint only because it made sense. It’s hard to say whether or not that community will take, or did take his advice to heart, but despite your personal feelings about ChangePoint, they do typify many of the hallmarks of what convictional Christianity is and can be. My visits to area churches do indicate a shakeout is taking place. I’ve been fortunate to have visited many congregations where faith is not taken for granted, but is seriously pursued and practiced. Many times it is located in smaller groups where insightful delving and discussion about faith and its origins can take place. This entry was posted in ADN Articles and tagged Christianity, Gallup, Pew Forum, Stetzer on May 30, 2015 by Chris Thompson. Some comments to this blog have expressed concerns that I need to designate my theology and then pick a church based on that theology. As I see it, they are concerned I may visit their church and comment on it when it may be contrary to my theology. So, their point is I should pick a theology and then pursue a church to fit this theology – end of story. This is more easily said than done and suggests a dogmatic view of religion. If it’s that simple, any of us could pursue BeliefNet’s “Belief-O-Matic. Answer 20 questions and you will be told what religion you are practicing or should be practicing. Wow! • draw on the resources of a tradition to address some present situation or need, or for a variety of other reasons. I specifically choose not to delve into specific theological issues in this blog. My key reason being some will be tempted to dogmatically seize on these issues to press their own belief structure, rather than having a scholarly discussion. Thus theology divides rather than joins. Clearly, many of you have indicated you are enjoying my foray into the churches of the Anchorage area. There are many reasons why only 3-5% of church visitors will return for a second visit. Some of these things are pointed out in this blog. If individual churches took a critical look, they would discover many opportunities to build good will and create an inviting environment for a continuing relationship. To those who feel I should settle into a less than desirable church and give it time, I would say that I do worship semi-regularly at a church or two in the area but am not totally committed to any one church. I am still curious about our church community and will continue to pursue my quest. Thank you for your support, comments, and private e-mails from time to time. Let’s continue this conversation and learn from each other. I love hearing from those of you who have shared why they picked their church and what it means to them. This entry was posted in ADN Blog and tagged Pew Forum on July 30, 2008 by Chris Thompson.